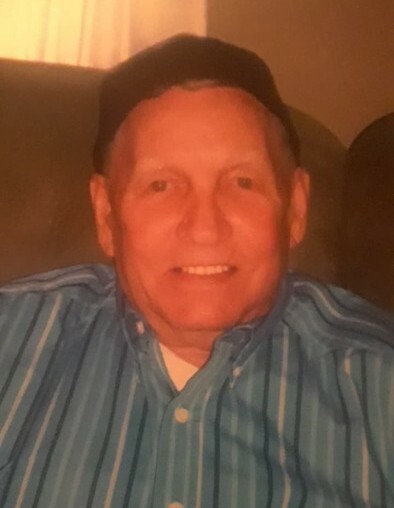 J C "Jimmy Lee" Sanson JR, 87, of Majestic, KY, passed away on Tuesday, April 9, 2019 at Erlanger Baroness Hospital, in Chattanooga, Tennessee. He was born on July 4th, 1931 in Majestic, Kentucky, a son of the late J C Sanson & Polly "Eagle" Sanson. In addition to his parents, he was preceded in death by his wife: Betty Blankenship Sanson; one son: Jimbo Sanson; and one sister: Emogene “Little Pretty” Sanson. Jimmy Lee was a veteran of the United States Army. He made a career as a butcher and a manager over the food chain known today as Food City. He worked there for 33 years. Jimmy Lee loved God and was of the Pentecostal faith. In his early life he loved animals, and took enjoyment in working with horses, specifically. When his health was better, Jimmy Lee enjoyed going to horse shows and taking his family boating, camping & going to the lake. He was a true family man & made sure his family was taken care of. Those left to honor his memory include one son: Donnie (Angie) Sanson of Hodges, SC; two daughters: Lori Lee Sanson of South Pittsburg, TN, Linda (Billy) Hammond of Kershaw, SC; one brother: Raymond Sanson of Majestic, KY; one sister: Christine Stiltner of Phelps, KY; nine grandchildren: Kobe Lee Sanson, Kayla Lee Sanson, Jonah Wamsley, Jay Irick, Chelsea Bowling, Nick Mounts, Lexis Hammond, Stevie Hammond, Eric (Kayla) Hammond; three great-grandchildren and one on the way. Jimmy Lee is also survived by a host of family & friends. Funeral services will be conducted at 2:00 P.M. Monday, April 15, 2019 at the Jones & West Funeral Home with Revered Charles Meek officiating. Burial will follow in the Sanson Cemtery, Majestic, KY with family & friends serving as pallbearers. Military honors will be performed by DAV Chapter 141 of Belfry, KY.
Visitation will begin at 6:00 P.M. Sunday at the funeral home with special services at 7:00 P.M.